Essex Steam Train & Riverboat offers Sunset Cruises aboard the Becky Thatcher every Saturday. 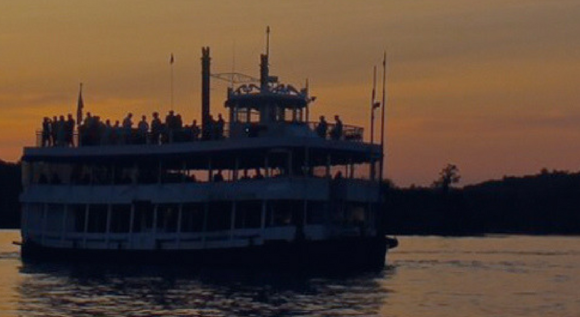 The Essex Steam Train & Riverboat is offering summertime leisure aboard the Becky Thatcher riverboat with Saturday Night Sunset Cruises down the Connecticut River. Every Saturday evening through Aug. 25, at 6 p.m., guests will enjoy 360-degree views Connecticut’s storybook countryside. For $30 per person, enjoy this sunset riverboat trip from the boat’s dock in Deep River to the Baldwin Bridge and back again – a twilight trip, which includes a 15-minute diesel locomotive ride from Essex Station to the Deep River boat launch, a two-hour cruise on the Connecticut River, and a return train ride. Due to the timing and duration of the cruise, the Sunset Cruise is not recommended to children under the age of 10. The train will return passengers back to Essex Station after enjoying a wonderful sunset experience. Space is limited. Visit http://essexsteamtrain.com to purchase your tickets.